5761372 Hood / Grille Grommet (1/4" Thick) Jeep Wrangler (1991-1993); Left or Right side. Home > Hood / Grille Grommet (1/4" Thick) Jeep Wrangler (1991-1993); Left or Right side. 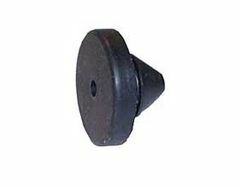 Hood / Grille Grommet (1/4" Thick) Jeep Wrangler (1991-1993); Left or Right side.